Just say the word “Studebaker,” and the chances are good that the image that springs immediately to mind is of the 1950-1951 models, a.k.a. the “bullet nose” or “airplane” Studey. Although Studebaker was the first major manufacturer to put a totally new design on the market (using the slogan “First by far with a postwar car”) for the ’47 model year, it’s the face-lifted version of that basic car, which came three years later, that was paradoxically radical and commercially successful. One of the most oft-heard Studebaker clichés – “they were so ahead of their time” – is exemplified by the bullet nose. 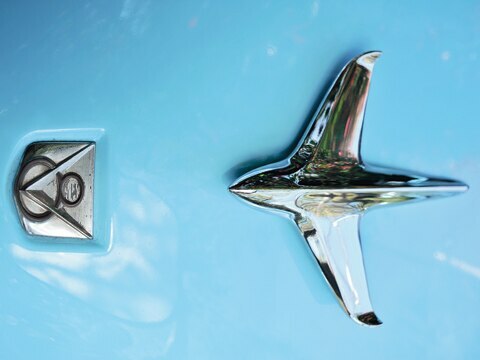 Truly a Buck Rogers vision of the future, Studebaker’s gamble with aircraft design vocabulary paid off for two glorious years starting in 1950. Like their ’47-’49 predecessors, the bullet-nose Studebakers featured a full-width, or “envelope,” body with integral fenders as promoted by industrial design icon Raymond Loewy and executed by Virgil Exner. This pioneering three-box design that featured a rear deck almost as lengthy as the hood yielded yet another time-worn cliché: “Is it going or is it coming?” Har-de-har-har. 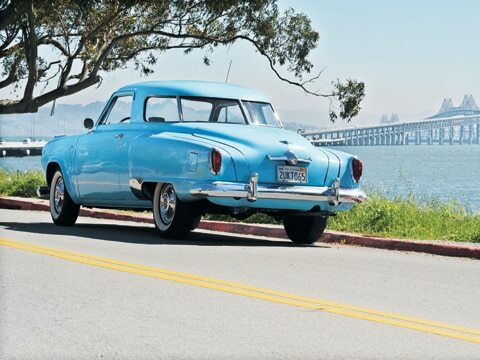 Studebaker’s Starlight coupe – sold in both low-priced Champion and luxurious Commander model lines – was the most special iteration of all postwar Studebakers and tested one’s credulity. The rear window wrapped around to meet the B-pillars, as the C-pillars were dispensed with entirely. Rear-seat passengers were treated to the equivalent of a Cinemascope-styled picture window. The body style was and is nothing short of sensational and continued to be offered when the freshened bullet-nose design debuted. If ever there were a Studebaker to, so to speak, out-Studebaker all others, it would be the ’50-’51 Starlight. After the launch of his postwar design, Exner left the South Bend fold, so the very talented, but largely unsung, Bob Bourke did the heavy lifting for Loewy on the redesign. With fighter-plane styling in the front and streamlined-railway-car “Vista Dome” treatment in the back, there’ve been few cars as stunning before or since. The design leadership was matched with comparatively up-to-the-minute engineering to make it more than worthy of contemporary consideration. Was there anything more modern on the road back then? Not really. The 1950 bullet-nose lineup came in three sizes, Goldilocks-style. Baby Bear was the Champion, riding on a 113-inch wheelbase; the Commander was Mama Bear, with a 120-inch wheelbase; there were 124 inches between the wheels of Papa Bear, the Land Cruiser that could be ordered only as a four-door sedan. 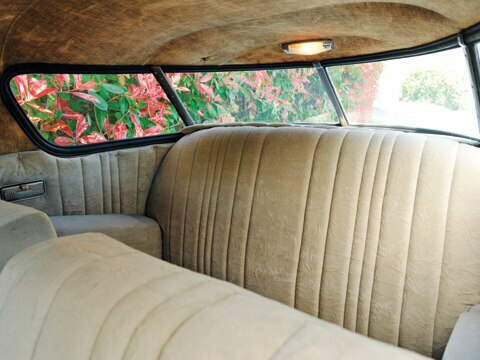 There was no wraparound, Starlight-like rear window on sedans and convertibles, but as a consolation, four-door sedans got rear-hinged suicide doors in the back. The next year saw some styling refinements in the front end with flush, rather than recessed, grillework, and there was also consolidation in that the Commander and the Champion shared the same 115-inch wheelbase and the Land Cruiser moved down to 119 inches, about the same as today’s Bentley Continental Flying Spur. 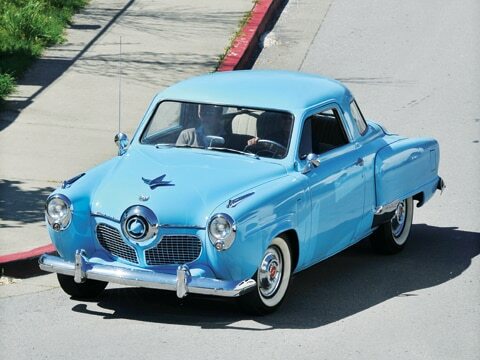 There was also something terrific up front for 1951: Studebaker’s first V-8. Commanders, like Bill Arnold’s ’51 in these photographs, came with a 233-cubic-inch unit that was unabashedly inspired – some say it was a flagrant example of industrial espionage – by Cadillac‘s overhead-valve V-8 that had just been introduced in ’49. Studebaker thus one-upped the Big Three by offering the first modern V-8 in a low-priced car. 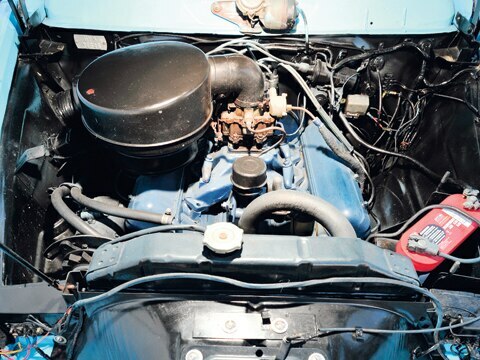 It would take Ford until 1954 to replace the ancient flathead V-8 (which dated back to 1932) and Chevrolet and Plymouth until 1955 to market their own modern V-8s. 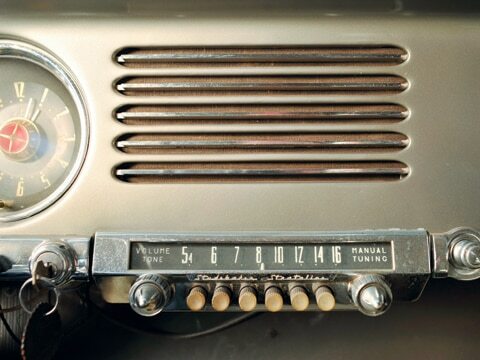 Studebaker also introduced an automatic transmission in mid-1950. 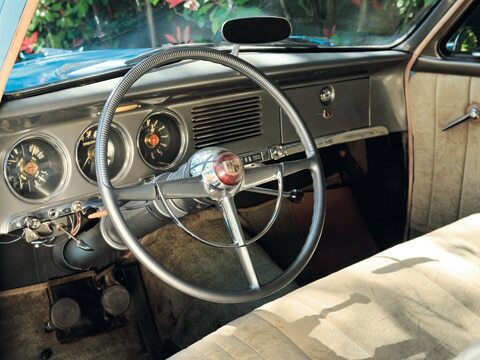 One notable option offered on manual-gearbox cars was Hill Holder, a mechanism by which the driver could keep the car from rolling backward on an incline by keeping the clutch pedal fully depressed, freeing the right foot to mash the accelerator and keep things moving forward. 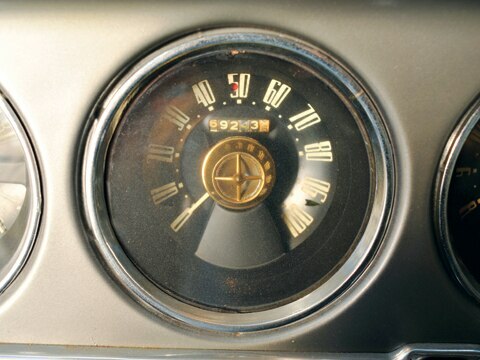 Subaru introduced a similar feature in 1980 and named it Hill-Holder, just as Studebaker had done years earlier. Although not considered an especially big car in its day, the bullet-nose Studebakers have real presence on the road, reflective of the optimism of their era. With gasoline selling at twenty-seven cents per gallon, fuel economy wasn’t a huge issue. But Studebakers, even V-8-equipped ones, were noted for their mileage: a Commander won its class in the 1951 Mobilgas Economy Run, averaging 28 mpg. Piloting a bullet-nose Studey today is more like driving a time machine than anything else. You’re taken back to an era when a smooth ride was the litmus for quality. Front coil springs gusseted by rubber insulation ensure an ingratiatingly tranquil ride. Cornering is best kept to a leisurely pursuit, Buck Rogers styling notwithstanding. Who would want to tear into a corner in so stately a vehicle, in which driver and passengers sit upright and above the fray? Weight distribution favors the front as you’d imagine, and – with no power steering – parking can be a chore, but it does have an aerobic aspect that cannot be ignored. Interiors are quite sumptuous, especially in Commanders, whose seats are upholstered with top-quality materials. Dashboards are trimmed in gleaming chrome but are somehow understated in a moderne way; even the fonts used on the instruments are worth savoring for their sheer design detail, yet another reason to wheel a bullet nose – going and coming – in the twenty-first century. It’s the most futuristic car of the past – a dream car that you can drive on a regular basis. Styling sets it apart, and straightforward mechanicals make it relatively easy to live with. Spare and reproduction parts abound, and the Studebaker community is very supportive. Nothing says “postwar” more emphatically; the Muppets drove one to box-office glory. You get to admit that it is, in fact, both going and coming and was, yes, ahead of its time, which seems to still have not arrived.